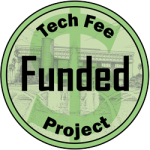 The UCF Libraries is requesting $244,000.00 (list price of $249,000.00 less $5,000.00 cost sharing) for the purchase of streaming videos from Alexander Street Press. The collection consists of 12,743 videos across 10 subject areas that will support the humanities, sciences, and social sciences. Alexander Street Press (ASP) is a respected academic publisher of award-winning, online collections and videos for scholarly research, teaching, and learning. They are notable for their excellent production, quality editorial standards, and commitment to comprehensive coverage of topics. The agreement between UCF and Alexander Street Press will allow fair use of the content for educational purposes, including embedding links into Webcourses and Canvas. Access would be available to all UCF students and employees, with off campus access enabled by EZproxy. The selected video collections are relevant and appropriate to university student course work and faculty research. The content will directly support student learning by providing material for course papers, projects, and study. Online streaming videos more readily support web-based instruction, and faculty often choose streaming video when the option is available. The streaming videos are all online and the content will be available to all UCF students, faculty and staff anywhere, anytime. The online videos will serve the UCF Regional Campuses, online courses, and distance education. The Libraries current video collection consists mostly of VHS and DVDs, and cannot be easily accessed by off-campus students. The UCF Libraries has purchased some streaming video, especially from FMG On Demand, and there is growing interest on campus for this format. The streaming videos are all online and the content will be available to all UCF students, faculty and staff anywhere, anytime. The online videos will serve the UCF Regional Campuses, online courses, and distance education. The Libraries current video collection consists mostly of VHS and DVDs, and cannot be easily accessed by off-campus students. The UCF Libraries has purchased some streaming video, especially from FMG On Demand, and there is growing interest on campus for this format. Students and faculty will be able to discover Alexander Street Press Streaming Videos in the catalog and with the UCF Libraries’ OneSearch. Alexander Street Press Videos are viewable on the web using a browser and standard plug-ins, and can be streamed to mobile devices. The videos are easily discovered on the Alexander Street Press website, which provides deep-searching of the liner notes, transcripts, and descriptive terms, as well as many options to browse by topic, year, production staff, and other aspects of the collections. The transcripts can be displayed in-sync with the video, and support the UCF policy that course materials must be ADA compliant. Provide evidence that the project will benefit student learning. Alexander Street Press is a leading provider of educational media, streaming videos and music especially well-suited to university student course work. The content directly supports student learning by providing content for course papers, projects, and study. The Alexander Street Press interface is ideal for classroom use and links to the videos can be embedded in online courses. These streaming videos will benefit groups currently not well served by the Libraries’ DVD and VHS collections, such as students in online courses and other distance learners. The titles from the Art & Architecture in Video collection are especially relevant to the new Architecture Program at UCF Valencia Regional Campus. The Libraries will measure the success of the Alexander Street Press Streaming Videos through usage data and surveys. Alexander Street Press will provide usage reports that track which videos were viewed and how many segments were watched. The Libraries’ does not own a comparable collection of streaming videos, so estimating use involves more guess work than extrapolation. However, Florida International University used 2010 Technology Fee funds to purchase 10 ASP streaming video collections and reports 5,368 playbacks during 2011. UCF expects to see similar usage or higher. The ASP online videos target some of UCF’s most active disciplines with strong regional programs. High usage is expected. The requested funds will cover the entire cost to purchase perpetual access to the selected Alexander Street Press Streaming Videos collections. The Libraries will catalog the content, maintain links, and support access. Any recurring costs for maintenance of the collection will be paid for using library funds. Videos are hosted by ASP, so there is no impact on staff resources. The requested $244,000.00 will be used to purchase selected streaming video collections from Alexander Street Press. There will be no additional charges. The purchase is for complete online access to the streaming video with perpetual rights to the content. This price represents a 43% discount from the list price of $430,000.00.